Remember that Windows 7/8.1 users could upgrade for free to Windows 10 for the first year of the new operating system’s existence? That offer officially expired at the end of July last year, but reportedly it’s still perfectly possible to make the leap to Windows 10 without paying a penny. You may recall that back in August 2016, we reported on two methods which could still be used to achieve a free upgrade from Windows 7/8.1, and the good – and surprising – news is that both of these ways can still be successfully used. 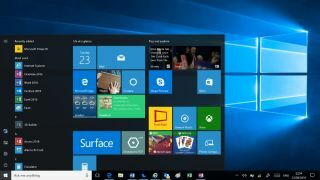 According to Techspot, the Windows 10 free upgrade for customers who use assistive technologies to help them operate their PC is still open to anyone – meaning that Microsoft doesn’t check whether you actually need to use these assistive utilities such as the screen reader. As we pointed out in the past, this is certainly a morally questionable route for obtaining your free upgrade. Although the other method of using an old Windows 7/8.1 product key also still works, which is even more surprising – we’d have definitely thought Microsoft would have closed this loophole by now. Of course, more users migrating to the newest OS won’t hurt Microsoft’s adoption figures which are still being carefully scrutinized, so perhaps we shouldn’t be so surprised that these unofficial loopholes remain.